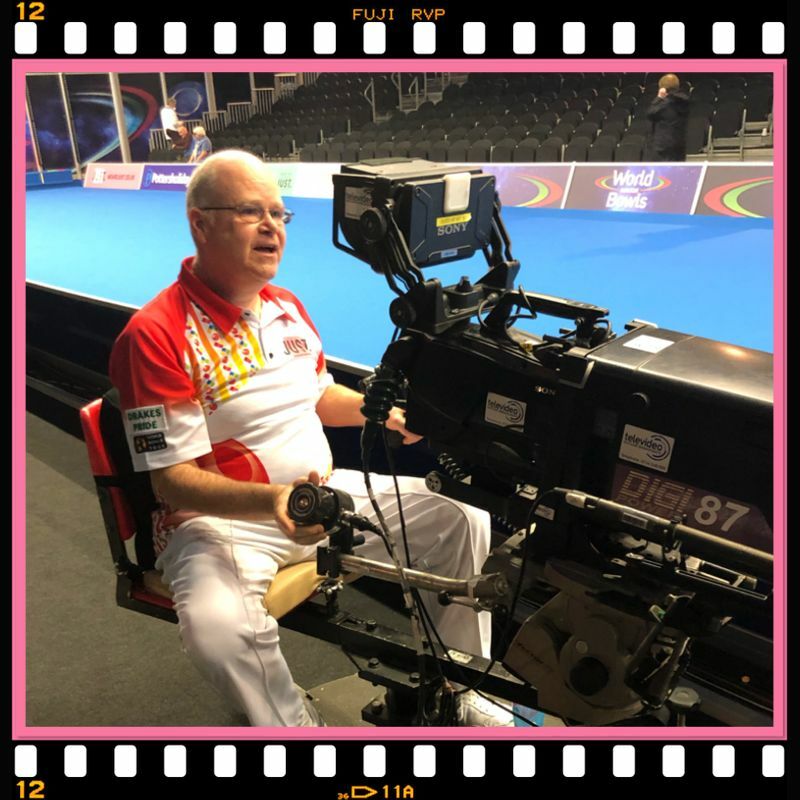 Les Gillett was so keen to be involved in the televised semi-final action of the Just World Indoor singles that he took a short course on camera work just in case he missed the boat in his quarter-final match against Scott Edwards –a PBA Tourcard rep who plays out of the Oxford City & Country club. However an in-form Gillett fully controlled the opening set, winning 10-2, but the tide turned in the second with Edwards making the early running and opening up a 5-0, three end lead. Gillett hauled himself back into contention with seven shots over the next three ends to lead 7-5 but a treble to Edwards saw the lead change again to 8-7 in his favour. However on the eighth end, with two shots against him Gillett settled himself down, took his time and played a stunning, delicate trail of the jack with his last bowl to get out of trouble, yielding a treble to lead 10-8 playing the last. Edwards had a potential opportunity to count a treble on the last to take the match to a best of three end tie break, but when they dust settled after his runner he could only muster a single as Gillett wrapped up victory 10-9. His semi-final opponent tomorrow will be an England v Scotland affair with 2013 champion Stewart Anderson.